We love the outdoors! OSN, Outdoorsmen Social Network and OSN Hub are all for you to use at your leisure. Tools that will give you the ability to network world-wide with those with the same passion. 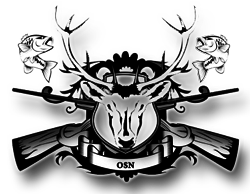 OSN is orginally a site for hunters and fishers only. In the expansion OSN decided to include all outdoor sports. We look forward to all of your stories on a daily basis. See you soon and enjoy! Members-only network for sharing information, asking and answering questions, and connecting with the Outdoorsmen Social Network community. Networking World-Wide, hearing stories, seeing the most outrageous pictures and sharing the same passions, letting those know who you are all over the world! You can also adjust your own privacy settings to whom you want IN or OUT! Be sure to follow as many members as you can. In return I am sure they will follow you back!